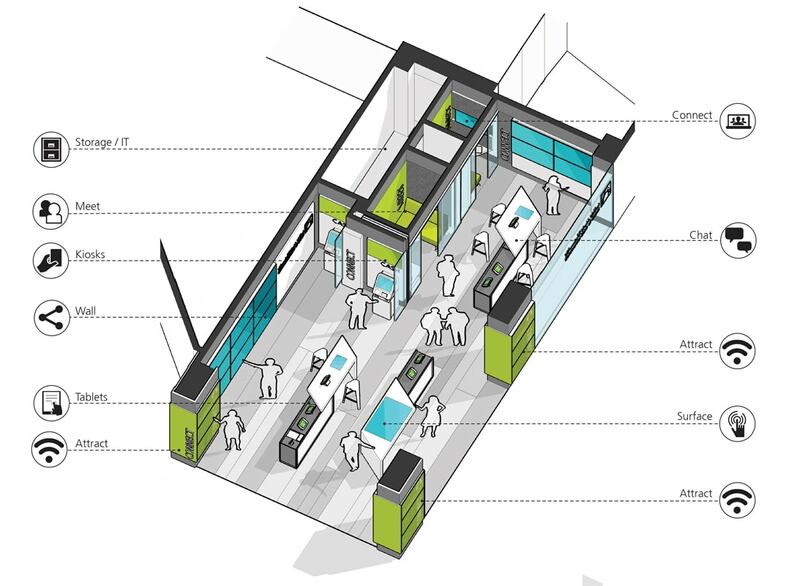 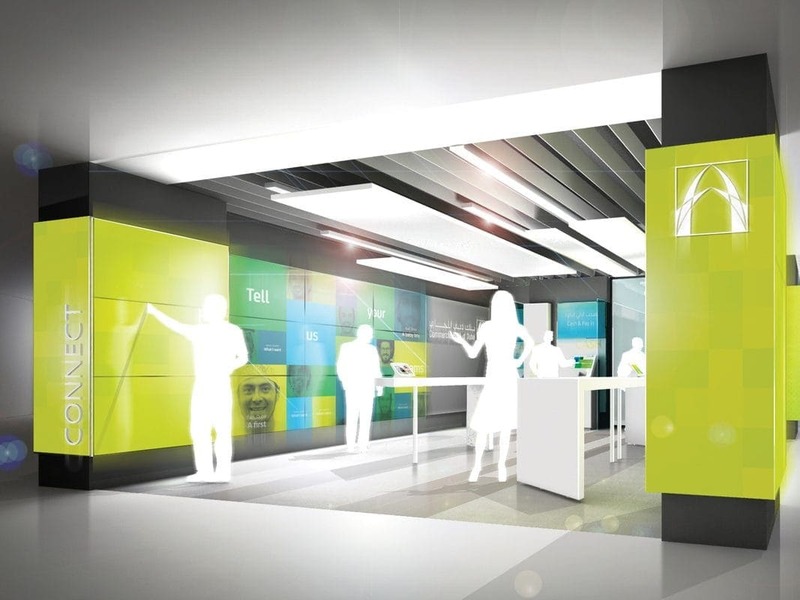 The first of a new generation of branches that offers a retail environment combining technology with personal service. 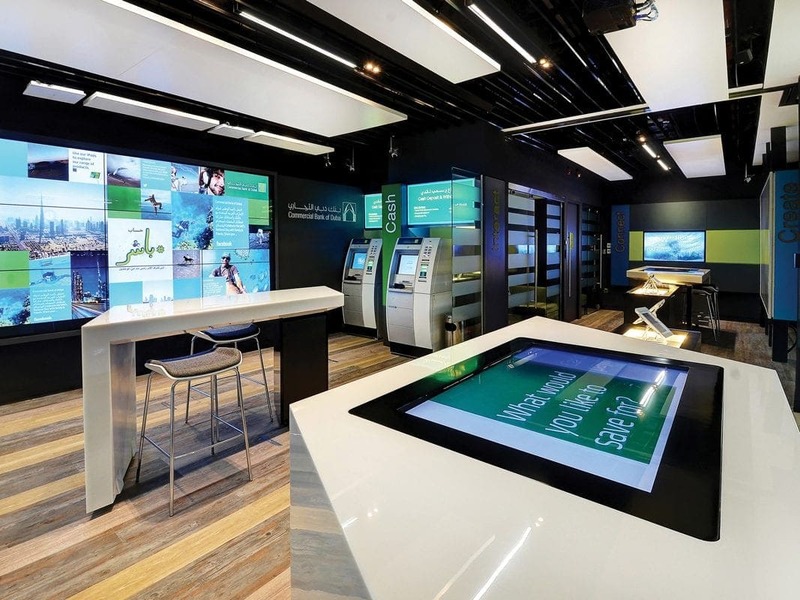 This new technology driven retail space incorporates touch screen tables, tablets and interactive video walls to create a striking and immersive brand experience. 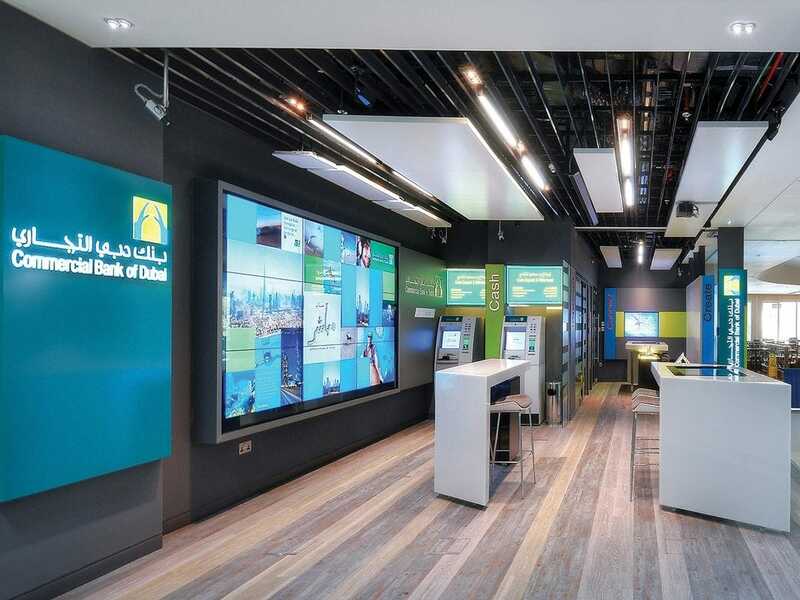 The digital branch will reach out to a new generation of customers, reinforcing the bank’s digital channels and creating a more informal and connected banking experience. Working together with branding agency Industry, we have developed both the interior design concept, bespoke furniture and digital applications to support this innovative new retail offer.